Calaméo - Delivery of USPS Reg. Mail of "Special Appearance to give this notice of Affidavit of Facts" on 03-27-2019 to Ct. House. Delivery of USPS Reg. 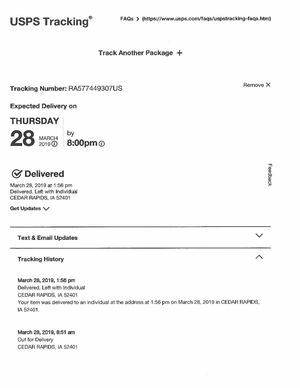 Mail of "Special Appearance to give this notice of Affidavit of Facts" on 03-27-2019 to Ct. House.